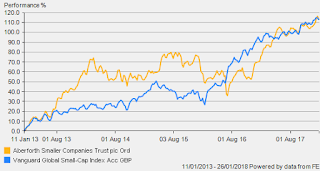 The objective of Aberforth Smaller Companies Trust plc (ASCoT) is to achieve a net asset value total return (with dividends reinvested) greater than that of the Numis Smaller Companies Index (excluding Investment Companies) over the long term. The trusts portfolio is diversified and will normally consist of investments in around 85 individual companies. In seeking investments the approach will be fundamental in nature involving regular contact with the management of prospective and existing investments in conjunction with rigorous financial analysis of these companies. The emphasis within the portfolio will reflect the desire to invest in companies whose shares represent relatively attractive value and a preference for holdings with low or no gearing. They have recently published final results for the full year to 31st December 2017(link via Investegate). It has been another good year with share price total return of 22.6% compared to its benchmark index, Numis Smaller Companies index - Total Return of 19.5%. The return for the FTSE All Share in 2017 was 13% by way of comparison. I was pleased to note that management charges have fallen as a percentage of net assets this year and ongoing charges which includes transaction charges are now 0.72%. The trust has been the best performing IT in my portfolio over recent years. Over the past 5 yrs average annualised return for this smaller companies specialist is 16.2% p.a. The board are proposing a final dividend of 19.75p making a full year increase of 5.3% to 28.80p per share. In addition, as last year a special dividend of 6.7p is proposed as the trust has received special dividends from several portfolio holdings. Revenue reserves have increased by a further 14.7% to £79.92m (2016 £69.64m). At the current price of around £13.50, the trust has a yield of 2.2% (but 2.6% including the special dividend). I would not advocate a large holding of small caps in any portfolio, however a weighting of between 5% - 10% is likely to boost total returns for the long term investor. Last year I took the opportunity to trim back my holding as it had become overweight compared to when I first acquired it and I wanted to take out some of the capital appreciation for 'income'. 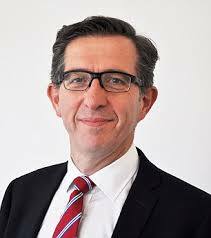 However I am happy to continue with Aberforth for the longer term for delivery of growth and steadily rising income. 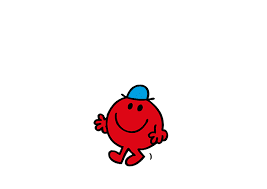 As ever, slow & steady steps….. Since I brought on board my Vanguard Lifestrategy index funds in 2015, I have increasingly regarded my strategy as core/satellite. The VLS funds form the core - a diverse mix of global equities and bonds - and account for around 40% of my portfolio. 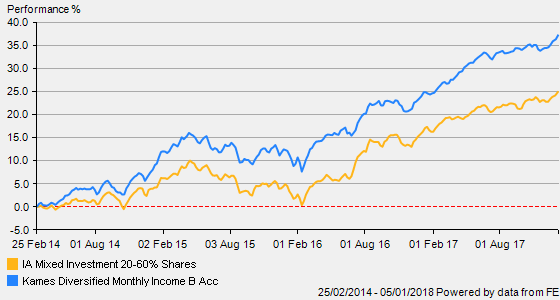 Surrounding this is an assortment of smaller holdings including my legacy investment trusts. 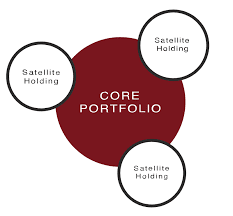 This common strategy involves a dual approach with a 'core' of stable long-term holding(s) combined with an outer layer of more specialist or shorter term holdings which compliment the core element. 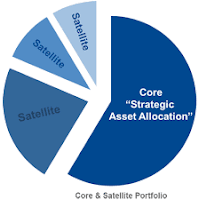 The strategy can enable the investor to combine two approaches such as core passive and satellite more active for example. The core will generally comprise the steady/stable element of the portfolio and which are likely to throw up few surprises. They will generally be low cost buy-and-hold investments but could be a 'basket' of solid investment trusts forming the 'core' combined with a selection of individual shares which may be traded more frequently. The satellite element can be used to take a little more risk with a smaller proportion of the portfolio with a view to increasing returns. For example it could be a punt on one or more out of favour sectors of the market or individual shares which are well below their long term average. It could equally be areas which the investor considers have exciting prospects such as biotech or technology. Some assets such as commodities have distinct cycles which investors may try to exploit for profit at certain times. 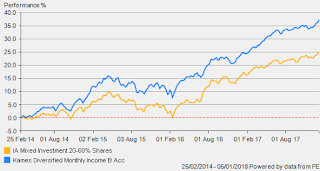 With my portfolio I hold several investment trusts which I like to think can complement my VLS funds. The likes of Scottish Mortgage with its focus on cutting edge technology or smaller companies specialist, Aberforth are two which can help to deliver a slightly better overall return. For those who like a more hands-on approach to investing, it can be an advantage to have a larger leave-alone core element. Likewise for those who like to 'tinker' around the edges and find it difficult to leave completely alone, the strategy allows the investor some freedom to 'play' the market maybe with a small percentage of the portfolio total value in the knowledge they will probably not do too much overall damage if things don't work out. Leave a comment below if you use such an approach and share any other ways this strategy could help to keep a portfolio on track. 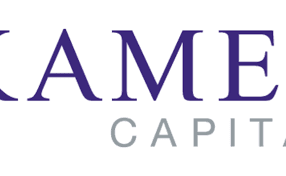 Kames is the former asset management arm of Scottish Equitable, which was bought by Dutch giant Aegon and renamed Kames six years ago. It holds funds totalling £45bn. Their monthly income fund was launched in February 2014 and over the past year it has provided a return for investors of 10.1% building on the 11% for 2016 and has produced an annualised return of 8.2% p.a. since launch. Lead manager is Vincent McEntegart. The fund targets income of 5% from a diverse range of assets which include bonds and fixed interest (40%), UK & global equities (26%), property (14%) and specialist (18%). No single holding exceeds 2% of the portfolio. Some top 10 include Greencoat UK Wind, HICL Infrastructure, Tritax Big Box and Imperial Brands. Over the past 3 yrs the fund is ranked 14th from 170 funds listed in the IA Mixed Investment 20 - 60% shares sector. McEntegart has a reputation as a 'steady Eddie' manager who prefers a relatively cautious approach to generating income with a correspondingly low price volatility. This was one of the reasons for adding this fund to my income portfolio. As it is a fund which would attract a platform charge of 0.25% with AJ Bell, I have added it to my Halifax Share Dealing ISA which is fixed fee and therefore there will be no additional platform charges. The fund was purchased in December at the price of 110p. Distributions are made at the end of each month. I will now include this fund in my demonstration income portfolio. As ever, this article is merely a record of my personal investment decisions and should not be regarded as an endorsement or recommendation - always DYOR! Should You Avoid Investment Trusts With Premiums? Thought Experiment #5 – The grid? What grid? World’s Largest Pension Funds Ignoring Climate Breakdown – How Can They Fix It?